Vehicle time documents are managed for recording all outgoing vehicle records for identification of accuracy and time management for material shipping. Vehicle time documents are prepared for managing records of all the incoming vehicles to identify the vehicle incoming time and all the outgoing vehicle time to verify the records of schedules that managed for dispatch the materials to customers against the delivery schedules are maintained, the process is conducted for the recording all shipping vehicle for identification of accuracy and time management for materials dispatch as well as improve short time delivery to customers, hence the transportation update are also merged in the processes to each incoming vehicle are reach the destination as per schedule and as the expected delivery time by customers. Vehicle time documents are prepared by shipping department, hence the records are collect from all the gates through vehicle are coming and going for shipping purpose, the records are used for managing vehicle, shipping and analysis of time of each vehicle. The vehicle time management is important part for the shipping department that all the concern processes are affecting during vehicle incoming and outgoing time, hence the accuracy in both the movement are important that shipping department is communicate frequently with transporters to provide the vehicle on time, hence on accuracy of vehicle, shipping department manage the priority to order the vehicle requirements and on urgency of customer. 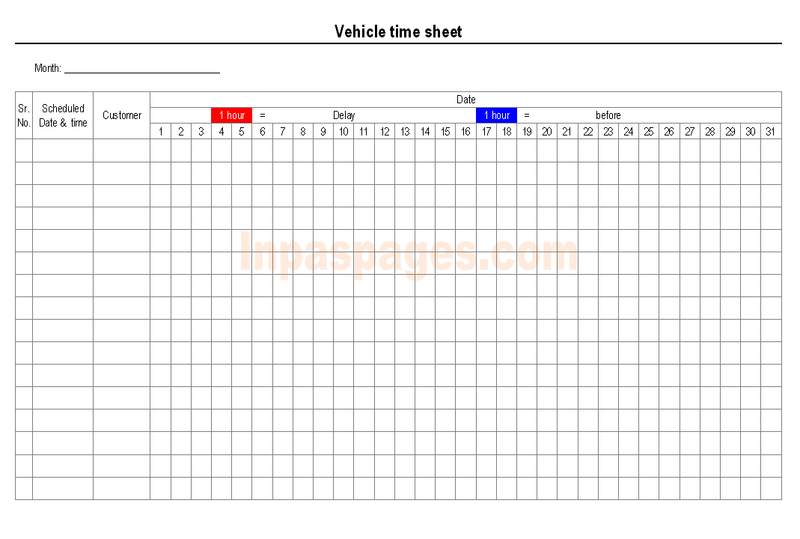 Vehicle time sheet format is conduct by shipping department, shipping manager is responsible for conducting the concern processes and the documentation required for the implementation of vehicle concern processes, transportation services & shipping the materials to provide delivery as per schedule. The manager is also responsible to assignment of duties and responsibility to department persons to conduct the tasks for recording and submitting information in the format and analysis the information to identify transportation services to manage transport for managing accuracy and priority. The documentation is managed and implement as per documentation system.